Givelaptops.org is excited to anounce a partnership with New Haven based MakeHaven maker space. MakeHaven has offered to collect and refurbish laptops to help expand our inventory for students in need in the New Haven area. 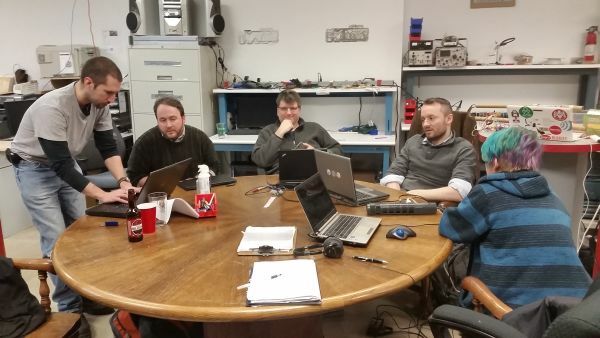 The core team meets to kick off the project. There is strong interest in the Maker community to build a laptop based on opensource software. The advantages are that there are no licensing costs, it is more secure and it runs much quicker on older laptops like the ones donated to Givelaptops.org. The first step in the initiative is to beta test a laptop built with open source software in the real world. 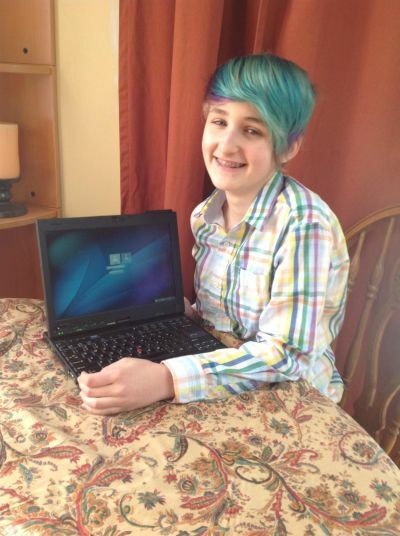 High School freshman Quinn Meehan has agreed to run a beta laptop through it's paces and advise the team on needed enhancements. Quinn Meehan, shows the beta version of the open source laptop. Once testing is done the team will build a software suite that includes all elements that a student would need to get their work done including word processing, presentation, spreadsheet, image editing and of course a modern internet browser among other software. If you would like to make a monetary or laptop donation please visit our donation page.